Organisation du workshop “La Réalité Virtuelle et augmentée : de nouveaux outils d'investigation des systèmes biologiques complexes”, avec Sylvain Cussat-Blanc (IRIT) et Jean-Pierre Jessel, Université Paul Sabatier, Toulouse, Octobre 2018. Organisation de la session “Lessons for human collaboration from studying collective intelligence in animal groups”, EuroScience Open Forum 2018, Toulouse, 11 Juillet 2018. Organisation du workshop “Cross-disciplinary approaches for building intelligent swarms of drones”, avec Frédéric Amblard et Stéphane Sanchez (Institut de Recherche en Informatique de Toulouse), Bertrand Jouve (FRAMESPA & Institut de Mathématiques de Toulouse), Céline Parzani (Ecole Nationale de l’Aviation Civile) et Matthieu Roy (Laboratoire d’Analyse et d’Architecture des Systèmes), Université Toulouse 1 Capitole, 13-14 Novembre 2017. Organisation du workshop “Multiscale Analysis and Modeling of Collective Migration in Biological Systems”, avec Andreas Deutsch (Technische Universität Dresden) et Luigi Preziosi (Politecnico di Torino), Center for Interdisciplinary Research, Universität Bielefeld, 9-13 Octobre 2017. Organisation du workshop Tackling Complexity in Biological Systems : From Data to Computational models, “Quantitative approaches for analyzing and modelling individual and collective behaviour”, avec V. Fourcassié (CRCA), Université Paul Sabatier, Toulouse, 7 Décembre 2016. Organisation du Workshop “The effects of architecture on collective behavior”, avec N Pinter-Wollman (UCLA) & S Fiore (UCL), Decision Theater, Arizona State University, Phoenix, USA, 5-7 Octobre, 2016. Organisation du Workshop “Dynamic Networks”, avec A Quirin (IRIT), M Grossetti (LISST), G Theraulaz (CRCA), F Sedes (IRIT), B Jouve (FRAMESPA/IMT), L Beauguitte (GDR ARSHS), Alberto Lumbreras (ERIC Lyon), INP-ENSEEIHT, Toulouse, France, 22-25 Juin, 2016. Organisation du Workshop “Collective behaviour in the Big Data era : Can we enhance collective intelligence in human groups ?”, avec A. Blanchet (Toulouse School of Economics), M. Roy (Laboratory for Analysis and Architecture of Systems, Toulouse) et C. Sire Laboratory of Theoretical Physics, Toulouse), Manufacture des Tabacs, Toulouse, France, 14–15 Avril, 2016. Organisation du Workshop “Fluid Mechanics and Collective Behavior : From Cells to Organisms” avec P. Koumoutsakos (Computational Science and Engineering Laboratory, ETH Zurich) et A. Deutsch (TU Dresden), Conference Centre Monte Verità in Ascona, Switzerland, 3-7 Avril, 2016. Organisation du workshop “Geometric and Graph-based Approaches to Collective Motion”, avec Giuseppe F. Italiano (University of Rome "Tor Vergata"), Bettina Speckmann (TU Eindhoven) et M. van Kreveld (Utrecht University), Leibniz-Zentrum für Informatik, Schloss Dagstuhl, Wadern, Allemagne, 10-15 Janvier 2016. Organisation du workshop Tackling Complexity in Biological Systems : From Data to Computational models, “Morphogenesis and Computational Modeling”, avec M. Suzanne (LBCMCP, CNRS UMR 5088). Université Paul Sabatier, Toulouse, 2 Octobre 2015. Organisation du workshop Tackling Complexity in Biological Systems : From Data to Computational models, “Collective motion across biological scales”, avec O. Cuvier (LBME, CNRS UMR 5099) et G. Fichant (LMGM, CNRS UMR 5100). Université Paul Sabatier, Toulouse, 3 Juin 2015. Associate Editor of Swarm Intelligence (since 2007, Vol.1, No.1). Janelia / MSRI Summer Graduate School on Mathematical Analysis of Behavior, Janelia Research Campus, Ahburn, USA, June 26, 2018 — Modeling three-dimensional stigmergic construction in ant colonies (keynote). Conference The Making of Opinions: A Multidisciplinary Point of View, Institut Rhônalpin des Systèmes Complexes, Lyon, June 6, 2018 — How social information enhances collective intelligence in social insects and human groups (conférence invitée). Conference on Collective Behavior, International Center for Theoretical Physics, Trieste, Italy, May 7-11, 2018 — The Dynamics of Social Interactions during Collective U-turns in Fish Schools (conférence invitée). European Summer School on the physics of living Matter, University of Strasbourg, Strasbourg, July 4-8, 2016 — Self-organization and emergent coordination in biological systems (conférence invitée). Fluid Mechanics and Collective Behavior : From Cells to Organisms, Monte Verità Conference Center, Ascona, Switzerland, April 3-7, 2016 — Deciphering individual-level interactions in groups of fish (conférence invitée). JEB Symposium on Evolution of Social Behavior, Mürren, Switzerland, March 20-24, 2016 — Quantitative analysis and 3D modeling of collective nest construction in ants (conférence invitée). Complexity, Criticality, and Computation (C3) Research Camp, Charles Perkins Centre and Research Cluster for Complex Systems, University of Sydney, 30 Novembre-4 Décembre 2015 — Emergent coordination and collaboration in swarms and flocks (three invited lectures). 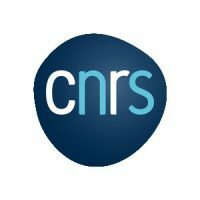 Complexity, Criticality, and Computation (C3) International Biannual Symposium, Charles Perkins Centre, University of Sydney, 26-27 Novembre 2015 — Computational analysis and modeling of 3D stigmergic construction in ant colonies (conférence invitée). 7th International Conference on Computational Collective Intelligence Technologies and Applications, Madrid, Espagne, 21-23 Septembre 2015 — Collective information processing in fish schools : from data to computational models (keynote). International Conference on Mathematical Modeling and Applications 2014 ’Crowd Dynamics’, Meiji Institute for Advanced Study of Mathematical Sciences (MIMS), Tokyo, Japon, 10-12 Janvier 2015 — From individual to collective information processing in fish schools (keynote). 7th International Workshop on Guided Self-Organization, University of Freiburg, Allemagne, 16-18 Decembre, 2014 — From individual to collective information processing in fish schools (keynote). Workshop Fluid Mechanics of Collective Behavior across Scales, Fondation Garbald, Castasegna, Suisse, 22-26 Septembre 2014 — A bottom-up approach to investigate collective swimming in fish schools (Invited Conference). 4th International Conference on Complex Systems and Applications, Normandie University, Le Havre, 23-26 Juin 2014 — Secrets of Swarm Architecture : Deciphering Construction Rules in Ant Colonies (Invited Conference). Ki-Net Conference on Collective Behavior : Macroscopic versus Kinetic Descriptions, Imperial College, London, Grande-Bretagne, 19-23 Mai 2014. — From individual to collective information processing in fish schools (Invited Conference). Faculté de l’Environnement Naturel, Architectural et Construit, Ecole Polytechnique Fédérale de Lausanne, Cycle de conférences autour de l’oeuvre de Patrick Berger, Architecte, 30 Avril 2014. — L’art de la construction chez les insectes sociaux (Invited Conference). Centre de Culture Scientifique, Trechnique et Industrielle du Lot, Carrefour des Sciences et des Arts, Les Sciences au Dessert, 1er Avril 2014. — L’intelligence collective des insectes sociaux, invited lecture (Invited Conference). Wyss Institute, Harvard School of Engineering and Applied Sciences, Cambridge, MA, USA, 6 Mars 2014. — Secrets of Swarm Architecture : Deciphering Construction Rules in Ant Colonies (Invited Conference). Pole Culture, Salle Le CAP - Université Toulouse 3 - Paul Sabatier, 25 Février 2014. — Comment l’intelligence collective émerge chez les insectes sociaux (Invited Conference). Forum Nîmois – Charles Gides, Nîmes, 30 Janvier 2014. — Comment l’intelligence collective émerge chez les insectes sociaux (Invited Conference). 17ème Colloque de Biologie de l’Insecte, Montpellier, 7-9 octobre 2013. — Modélisation de la construction du nid chez les fourmis (Invited Conference). Okinawa Integrative Biology Course, Okinawa Institute of Science and Technology, Japon, 15-29 Mai 2013. — Experimental and modeling approaches to collective behavior in groups of organisms (two invited lectures). Journée des nouveaux entrants de l’INSB, Institut du cerveau et de la moelle épinière, Paris, 28 Mars 2013. — Des fourmis aux foules : une approche interdisciplinaire des comportements collectifs (Invited Conference). Journées Electriques, autour de l’installation La ruche à sons, Médiathèque Pierre Amalric, Albi, 13 Mars 2013. — L’intelligence collective des insectes sociaux (Invited Conference). Sixth IEEE International Conference on Self-Adaptive and Self-organizing Systems, Lyon, 10-14 Septembre 2012. — Secrets of swarms architects : Understanding construction dynamics in ant colonies (keynote talk). Conférence "Coopération Multi-agents pluridisciplinaire", Université Toulouse 1 Capitole, 26-27 September 2011. — Collective Intelligence in Social Insects. Workshop "Collective Dynamics and Pattern Formation in Active Matter Systems", Max Planck Institute for the Physics of Complex Systems, Dresden, Allemagne, 12-16 Septembre 2011. — A three-dimensional model of ant-nest construction. Conférence "Swarm Intelligence and Critical Behavior", Center for Interdisciplinary Research, Bielefeld University, Allemagne, 22-24 Mars 2011. — Coordination mechanisms and collective motion in fish schools. 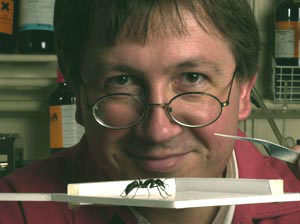 Workshop "Insect Self-organization and Swarming", Mathematical Biosciences Institute, Columbus, 14-18 Mars 2011. — Swarms as smart architects : understanding construction dynamics in ant colonies. AAAS Annual Meeting, Washington Convention Center, Washington, 18 Février 2011. — Spatial self-organization in human crowds. Workshop "Models for collective behavior in animal group"s, The Graduate Center of The City University of New-York, Initiative for the Theoretical Sciences, New-York, 15 Février 2011. — Deciphering interactions that make swarms smart. Workshop "Experimental approaches to collective behavior in groups of organisms", The Graduate Center of The City University of New-York, Initiative for the Theoretical Sciences, New-York, 15 Février 2011. — Experimental approaches to collective behavior in groups of organisms. Workshop "Des corps et des animaux entre technologie et nature : Animalité et robotique", Ecole Nationale Supérieure de Création Industrielle, Paris, 26 Novembre 2010. – L’intelligence collective des insectes sociaux, un modèle pour la robotique ? Seventh International Conference on Swarm Intelligence, Bruxelles, Belgique, 8-10 Septembre 2010. – Emergent coordination in fish schools and human crowds. 23rd Annual Conference on Computer Animation and Social Agents, Saint-Malo, 31 Mai-2 Juin 2010. – Deciphering interactions that make swarms smart. Journées de Rencontre Recherche-Industrie Systèmes Complexes, Intelligence Sociale : Nouvelles compréhensions, Nouveaux outils, CNRS, Paris, France, February, 5 2010. — L’intelligence collective des insectes sociaux. Workshop on Engineering principles of innovation in swarm-made architectures, Università Ca’ Foscari di Venezia, Venice, Italy, September 23-25, 2009. — Stigmergic algorithms. Workshop on Engineering principles of innovation in swarm-made architectures, Università Ca’ Foscari di Venezia, Venice, Italy, September 23-25, 2009. — From insect nests to human architecture. Conférence "Morphogenesis in Living Systems", Université Descartes Paris 5, Paris, France, May 14-16, 2009. — Morphogenesis and large-scale properties of nests architectures in social insects. Workshop "Pattern formation and ecosystem function", Institut des Systèmes Complexes, Paris, France, April 16-17, 2009. — From individual behavior to self-organized patterns. Journée IA embarquée, Université de Cergy-Pontoise, France, April 7, 2009. — Modèles biologiques et artificiels d’intelligence en essaim. Self-organization and dynamics of active matter, Workshop on statistical physics of systems far from equilibrium in condensed matter and biology, IHP-Centre Emile Borel, Paris, France, January 26-30, 2009. — Self-organization in social insects. Journées FREMIT, Programme Pluri-Formations de Recherche en Mathématiques et Informatique de Toulouse, IRIT, Université Paul Sabatier, Toulouse, France, December 8-9, 2008. — Dynamiques complexes et auto-organisation dans les sociétés d’insectes. Interdisciplinary College 2008 on Cooperation, Günne at Lake Möhnesee, Germany, March, 7-14 2008. — From natural to artificial swarm intelligence. 2nd ISCV Thematic Workshop "Biologically-Inspired Computing", Valparaiso Complex Systems Institute, Valparaiso, Chili, December 3-7, 2007. — Self-organization in biological systems. 2nd ISCV Thematic Workshop "Biologically-Inspired Computing", Valparaiso Complex Systems Institute, Valparaiso, Chili, December 3-7, 2007. — Swarm Intelligence in natural and artificial systems. Mathematical Models of Traffic Flow, Centre International de Rencontres Mathématiques, Marseille-Luminy, France, October 28- November 1, 2007. — The organization of traffic in ant colonies. EAIA’07, Summer School on Collective Robotics, Lisboa, Portugal, August 27-31, 2007. — Collective Behaviours in Groups of Insect-like Robots. Colloque "Systèmes Complexes en Sciences Humaines et Sociales", Cerisy, France, May 26 Mai–June 2, 2007. — Les déplacements collectifs dans les sociétés animales et humaines. 11ème Journées de Gerland, Systèmes Complexes et Biologie, ENS Lyon, France, December 11-12, 2006. — Les comportements collectifs complexes chez les insectes sociaux : mécanismes et modèles. Nature Inspired Smart Information Systems, 2nd Annual Symposium (NISIS 2006), Puerto de la Cruz, November 29–December 1, 2006, Tenerife, Spain. — Swarm Intelligent Systems : How Social Insects Provide Solutions to Complex Problems. From Animals to Animats 9, The Ninth International Conference on the Simulation of Adaptive Behavior (SAB 2006), Roma, Italy, September 25-29, 2006 — The biological principles of swarm intelligence. Conference "Potentials of Complexity Science for Business, Governments and the Media", Collegium Budapest, Hungary, August, 2006. — How group size influence the organization of work in social insects and human communities. Workshop "Nature Inspired Cooperative Strategies for Optimization", (NICSO 2006), Granada, Spain, June 29-30, 2006. — The biological principles of swarm intelligence. Conférences de la Cité des Sciences et de l’industrie, Paris, France, December 13 2005. — Emergence de l’Intelligence Collective. 6th International Workshop "Engineering Societies in the Agents World", (ESAW’05), Kusadasi, Aydin, Turquie, October 26–28 2005. — Stigmergic patterns and distributed information processing in social insects. Summer Research Institute, EPFL, Lausanne, Suisse, July 12, 2005. — The Adaptive Properties of Small and Large-scale Structure of Self-organized Networks in Ants. 6ème Journées « Complexités » Dynamiques adaptatives, Institut des Systèmes Complexes de Paris, Institut Henry Poincaré, April 14, 2005. — Les comportements collectifs des insectes sociaux. Conference "Evolucion de Redes Complejas", CosmoCaixa, Musée des Sciences, Barcelona, Espagne, March 2, 2005. — Self-organized networks in social insects. Workshop "Converging Technologies and Information technology, Future working trends of NBIC Technologies in Spain and Europe", Casa Convalescència. Hospital de Sant Pau, Barcelona, Espagne, March 1, 2005. — Swarm intelligent systems. Conférence "Physics in Signal and Image Processing", (PSIP 2005), ENSEEIHT, Toulouse, February 1, 2005. From natural to artificial swarm intelligence : Social insects provide solutions to complex optimization problems. Colloque "Art et biotechnologies", Musée d’art contemporain de Montréal, Montréal, October 5-8, 2004. — Insectes sociaux : conception par assemblage. Conférence "Développer l’intelligence collective", The Boston Consulting Group, Paris, June 11, 2004. — Insectes sociaux : comportements individuels et prouesses collectives. Conférence "Diversité biologique et sol : de la biologie du comportement de la macro-faune du sol au fonctionnement des sols", Centre Armoricain de Recherche en Environnement, Rennes, April 1, 2004. — Modélisation des processus de formation de structures spatiales chez les fourmis. 2nd International Workshop on the Mathematics and Algorithms of Social Insects, Georgia Tech, Atlanta, Georgia, USA, December 15-17, 2003. — Can we control self-organized aggregation and pattern formation in cockroaches ? Xème Congrès International de l’Association des Chercheurs en Activités Physiques et Sportives, Université Paul Sabatier, Toulouse, October 30-November 1, 2003. — Auto-organisation des groupes. Winter School on Complex Systems, Institut des Systèmes Complexes, Ecole Normale Supérieure de Lyon, December 9-13, 2002. — Self-organized processes in social insects. Conference “Patterns and collective decisions in animal societies”, Fondation Les Treilles, Tourtour, France, August 27 Août-September 1, 2002. — Pattern formation by local activation and long-range inhibition in social insects. Ecole thématique interdisciplinaire CNRS-INRA, “Information et Forme en Biologie”, Berder, France, March 17-23, 2002. — Morphogenèse chez les insectes sociaux. Conference "From Worker to Colony : Understanding the Organisation of Insect Societies", Isaac Newton Institute for Mathematical Sciences, Université de Cambridge, Grande-Bretagne, December 7-8, 2001. — Some aspects of morphogenesis in social insects. Conference of the European Science Foundation, Theoretical Biology Adaptation Program, Tihany, Hongrie, September 5-11, 2001. — Turing-like structures in experimental ant colonies. Workshop “The limits to Self-organization in Biological Systems”, Center for Advanced Studies in the Space Life Sciences, J. Erik Johnson Woods Hole Center of the National Academy of Sciences, Woods Hole, Massachusetts, Etats-Unis, May 11-13, 2001. — Turing-like structures in ant colonies. Conférence IRD & Laboratoire ECOMAR, Saint-Denis, La Réunion, April 5, 2001. — Structures de Turing chez les fourmis. Colloque "Invariants & Variabilité dans les Sciences Cognitives", Action concertée incitative Cognitique, Ministère de la Recherche, Paris, France, November 27-28, 2000. — Origine et fonction de la variabilité chez les insectes sociaux. Conférence du Laboratoire de Stratégie de l’Armement, “La robotisation et la place de l’homme dans les systèmes”, Centre des Hautes Etudes de l’Armement, Meudon La Forêt, June 8-9, 2000. — Applications de l’Intelligence en essaim aux systèmes robotisés. Atelier Cognitique “Invariants et variabilité”, Paris, MENRT, March 16-17, 2000. — Dynamique d’allocation de tâche et variabilité comportementale chez les insectes sociaux. 1er Congrès de l’Association Francophone d’Ethologie, d’Ecologie et d’Evolution, Rennes, August 31-September 3, 1999. — Structures spatio-temporelles chez les fourmis. Workshop “Self-organization and the evolution of social behavior”, Santa Fe Institute, Santa Fe, New-Mexico, Etats-Unis, April 26-30,1999. — Self-organization models of colony organization in social insects. Créativité & Informatique, Rencontres Musicales Pluridisciplinaires, Bibliothèque Municipale de Lyon, March 19, 1999. — Intelligence collective chez les insectes sociaux, modélisation informatique et conception de systèmes artificiels. Conférence "Entretiens de la Cognition", Hôtel Chinagora, November 26, 1998. — Algorithmes individuels et intelligence collective dans les systèmes naturels et artificiels. Conférence "Avignon Numérique", Université d’Avignon et des Pays du Vaucluse, July 23, 1998. — Morphogenèse collective chez les insectes sociaux. Workshop “The Interplay of Ultimate Causes and Proximate Determinants of Animal Sociality”, Santa Fe Institute, Santa Fe, New-Mexico, Etats-Unis, January 24, 1998. — Self-organization and Evolution. Workshop “The Interplay of Ultimate Causes and Proximate Determinants of Animal Sociality”, Santa Fe Institute, Santa Fe, New-Mexico, Etats-Unis, January 20, 1998. — Self-organization in social insects. Ecole “Modèles Physiques et Mathématiques de la Cognition”, Chamonix, September 17, 1997. — Modèles d’intelligence collective chez les insectes sociaux : auto-organisation et mécanismes alternatifs de coordination des activités bâtisseuses. Conférence “Coordination d’activités collectives dans les systèmes multi-agents : aspects dynamiques et modèlisation”, Groupe de Recherche Interdisciplinaire sur les Processus Interactifs Complexes, Institut National Polytechnique de Lorraine, Université Henri Poincaré-Nancy I, December 4, 1996. — Modèles biologiques de coordination d’activités collectives : l’exemple des constructions chez les insectes sociaux. Conférence “Intelligence Distribuée et Décision Collective”, Université Lumière Lyon 2, Association Internationale pour le Développement de la Recherche Interdisciplinaire, Lyon, September, 26, 1996. — Modèles biologiques d’intelligence distribuée. Conference “Self-organization and alternative scripts”, Fondation des Treilles, June 3-9, 1996. — How coordination emerges in the collective building activity of social insects ? — The role of self-organisation and alternative scripts in collective building. Conférence “Genèse dynamique des formes et des rythmes”, rencontre organisée par l’Institut non-linéaire de Nice/Sophia Antipolis, Avignon, October 7, 1995. — Constructions collectives chez les insectes sociaux : modélisation et simulation. Workshop on Multi-Agent Simulation Systems, Santa Fe Institute, Santa Fe, Nouveau-Mexique, June, 16-19, 1994. — Designing Complex Architectures with Lattice Swarms : Learning from Collective Building in Social Insects. NATO Advanced Study Institute, The Ethological Roots of Culture, (dir. : GARDNER A. ), Cortona, Italy, June 21-July 3, 1992. — Swarm Intelligence in Social Insects and the Emergence of Cultural Swarm Patterns. IEEE International Symposium on Intelligent Control, Philadelphia, (Pennsylvanie), September 5-7, 1990. — Swarm Intelligence in Wasps Colonies : an exemple of task assignment in multi-agents systems.